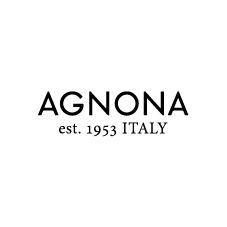 Agnona, the women luxury brand part of the Ermenegildo Zegna Group since 1999, is a leading manufacturer of garments produced with the most exclusive yarns: fine Australian wool, Peruvian alpaca, cashmere and silk from Tibet and China, and vicuña, once a privilege reserved only to kings. Agnona is synonymous with a timeless elegance that is understated and distinguished by an absolute attention to detail. Outerwear has been the cornerstone since the beginning. Draped or fitted, the double yarn that characterizes the brand is both lightweight and ultra-warm. In 2013, Stefano Pilati is appointed Creative Director of the brand. The designer is perfectly aligned with the company's DNA: refined interpretation that is at the same time bold and severe, luxuriousness, meticulous clean lines and precious fabrics. September 2013: Debut of "AGNONA collezione ZERO", the first collection designed by Stefano Pilati May 2014: Alessandra Carra appointed CEO of AGNONA. She is strategically involved in developing the unique potential of AGNONA as one of the brands leading the luxury worldwide market.